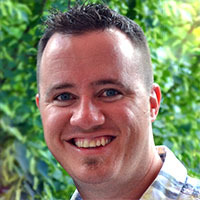 Paul Kragthorpe has over 8 years of search engine marketing experience and over 13 years of technology expertise. During this time he managed successful SEO and PPC campaigns for an array of nationwide clients in multiple industries, and helped with the design and development of many websites. He is the Director of Technology at WebRanking a Search Engine Marketing Agency that was founded in the spring of 1998 and is accredited for both Google AdWords and Microsoft Advertising. Paul is a current contributor and volunteer developer with #PPCChat, a weekly chat about everything to do with Pay Per Click. He is an Accredited Professional for Microsoft Advertising (BingAds), is Google Analytics Qualified, and is W3C certified in development languages HTML & CSS. Paul is also a loyal husband and father of one, living in Shakopee, MN.